Copplestone Castings and North Star have released new sculpts of an African tribe for use with the excellent Death In The Dark Continent rules or any other colonial era rules. The Shilluk Kingdom was located along the banks of the White Nile river in modern South Sudan. Its capital and royal residence was in the town of Fashoda. According to their folk history and neighboring accounts, the kingdom was founded during the mid-fifteenth century CE by its first ruler, the demigod Nyikang. During the nineteenth century, the Shilluk were affected by military assaults from the Ottoman Empire and later British colonization in Anglo-Egyptian Sudan. Based upon photographs from the colonial era, there are 4 packs of miniatures which have been added to the Darkest Africa range – Shilluk Spearmen 1 and 2, Shilluk Warriors with Clubs and Shilluk Characters. 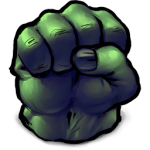 Each of the packs contains four miniatures, which are excellently sculpted and show Mark Copplestone at his very best. The spearmen and club warriors come with separate shields, although there are no spears included. The characters pack contains a haughty looking leader with ‘big hair’, an older looking man who could be a witch doctor, a musician and a standard bearer. 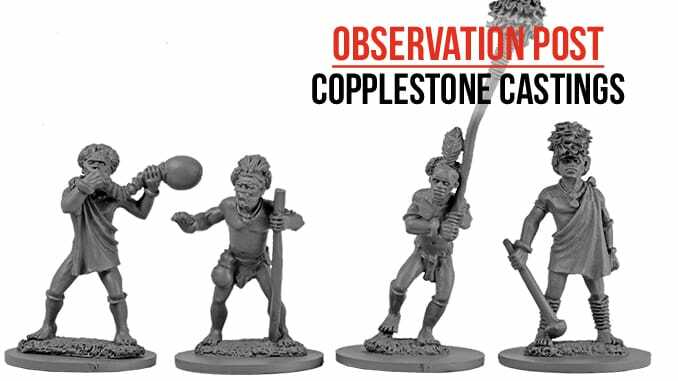 These figures are a worthy addition to the Copplestone miniatures available from North Star. Although there are only four packs, it is possible to put together a reasonably varied force for use with the Death In The Dark Continent rules, whilst also providing tribesmen for Congo or a host of similar games. Let’s hope that Mark Copplestone can be persuaded to sculpt more miniatures for this and other ranges: always excellent, these figures show that the master hasn’t lost his touch!